Once a year I have the terrifying privilege of preaching to children who are about to receive the Eucharist for the first time. It’s a May experience, and it took place again last Sunday morning. I am serious about both the noun – privilege – and the adjective. In fact, I told the children last Sunday that I approached them with trepidation, because I am accustomed to having a written homily lying in front of me there in the ambo, even if I seldom look at it. When I speak to the children, I have to do it standing in the center aisle, close to them, and speak informally. I’m not comfortable doing that. In order to have at least something to cling to, I always bring a prop on these occasions. I have brought my Howdy Doody dummy, my “first communion” picture, a set of juggling balls – anything to create a focal point other than me for the three or four minutes of this enterprise. 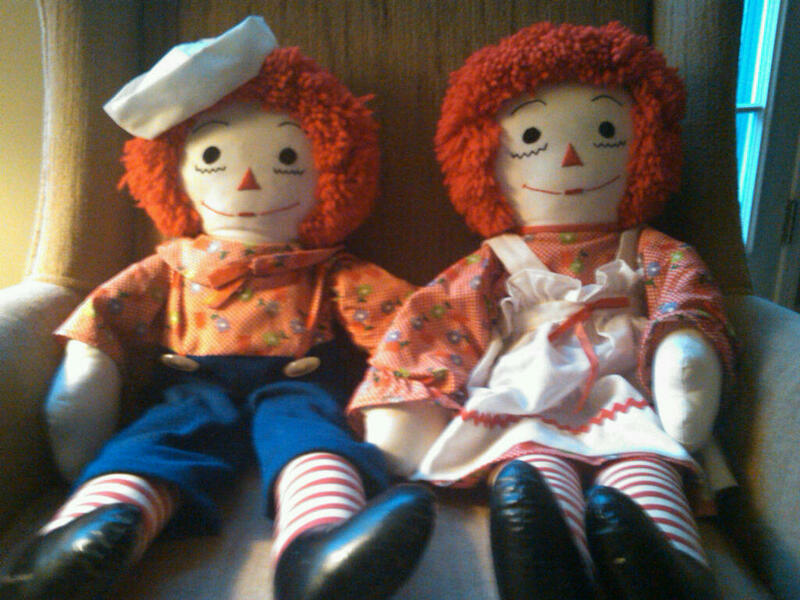 So last Sunday I brought Raggedy Ann and Andy, two large dolls that I bought for Pat about 35 years ago. They were hand-made by a woman who at the time was about 100 years old, and they are exquisite. Pat’s appreciation of their exquisite-ness has faded as the house has become increasingly burdened with more than 40 years of such acquisitions, and she has encouraged me to sell the dolls or give them away. Instead of doing that, I have taken possession of them, and I keep them in my clothes closet where I can see them every day. I used that image to build a homily about friends who never turn their backs on you. I began by producing the dolls out of a large gift bag and asking the children to identify these two stuffed characters. Most of the kids didn’t know. Only one girl was able to identify both dolls. My homily didn’t depend on the children knowing the names of the dolls, but I couldn’t help feeling a little twinge of melancholy as I saw the boys and girls look blankly at the once iconic figures. Raggedy Ann was created in 1905 by a talented writer-cartoonist, Johnny Gruelle, when he drew a face on a rag doll for his daughter, Marcella, and derived the name from the titles of two poems by James Whitcomb Riley– The Raggedy Man and Little Orphant Annie. 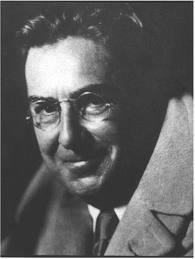 The term “orphant” was an example of the Hoosier dialect Riley adopted in his work. The second poem was the inspiration for the cartoon character Little Orphan Annie. WhenMarcella was 13, she contracted diphtheria after being vaccinated at school. She died shortly thereafter, and the Gruelles attributed her death on the medication she had received. 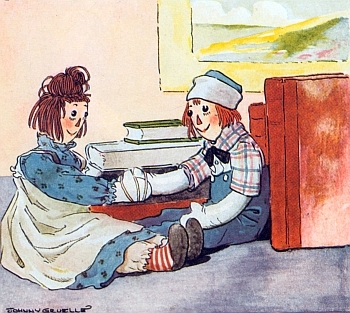 Johnny Gruelle became a leading critic of vaccination, and Raggedy Annie was for a time the symbol of the movement. 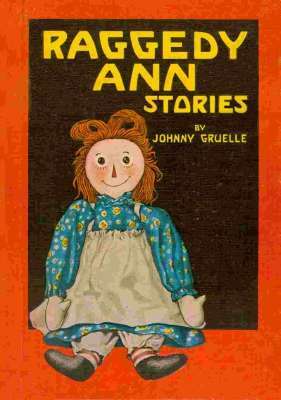 In 1918, Gruelle – who was the son of American impressionist painter Richard Buckner Gruelle– published a children’s book, Raggedy Ann Stories, and a doll was sold in connection with it. The brother of the original character was introduced in 1920 in Raggedy Andy Stories. There were more than 40 subsequent books, some of them written and illustrated by Gruelle and some by others. The characters spawned a wide variety of other products, many of which are still on the market — even if the parents in my parish aren’t buying them. I heard a report on National Public Radio last fall about the closing of the Liberace Museum in Las Vegas. The museum once drew 450,000 visitors a year — as many as stopped by Hoover Dam — but the outlandish pianist’s appeal had no staying power, and the people who did care grew old. Who thought that would happen to reliable old Raggedy Ann and Andy, but it has. Their museum, which was located in Gruelle’s home town of Arcola, Illinois — admittedly not on The Strip — closed its doors in 2008.